I own a Ruger SR40. Wanted the SR9 - but the SR40 was on the shelf and I didn't want to wait the few days it'd take to have the SR9 ordered! My next pick up will be the Ruger SR1911 (yes I like Ruger). After that it's something more compact that would allow me to begin to carry (I haven't found a comfortable way to carry the full size SR40 - so I choose not to. But I haven't even begun thinking about this until I get the 1911 With a child on the way it'll be a bit before I get the 1911. Where are you looking to take your handgun collection? I have a P99c on layaway at Buds. That will make it 3. Then, wherever the wind takes me. I have the SR1911. Its a great gun for the money. Everybody who's tried it liked it. I don't think you will be disappointed. As far as a small carry gun I recommend you look at the SIG P938. Great little gun and controls similar to a 1911 if you like that platform. 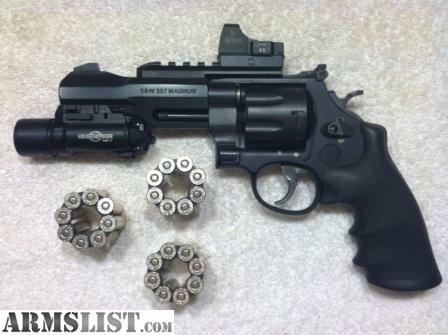 I know you said you like Ruger but I would avoid the LC9 for small defensive carry. Good gun except for trigger (IMO). I upgraded my trigger to GP Precision and like it better but much prefer the SIG. They can't stop us let them try. For heavy metal we will die!!! I know you have the 1911 as do some others I'm in love with it. As to the Ruger carry - as much as I'm a Ruger fan - I don't like their carry options (I should've mentioned that) - they just don't immediately grab me. NRA Benefactor, NYSRPA Life member, NYS Lifetime Sportsman, SCOPE, PCFOA, NYS DCJS Instructor, NJSP SORA Instructor, NRA Chief Range Safety Officer, Pistol Instructor, HFS Instructor, Personal Protection Inside/Outside Home. You can't go wrong with the Springfield XDs in 9mm or .45 ACP for a small carry gun. I've shot the 9mm version at the range, putting 150 rounds though it. Trigger was nice and the recoil was MUCH more manageable than my Kel-Tec PF-9. A XDs is next on my list for a purchase since the Ruger SR-22 I want will be useless until .22lr ammo starts showing back up regularly at stores.